What better way to express your eternal love than while silhouetted by the sunset with the subtle taste of salty sea mist caressing your lips? 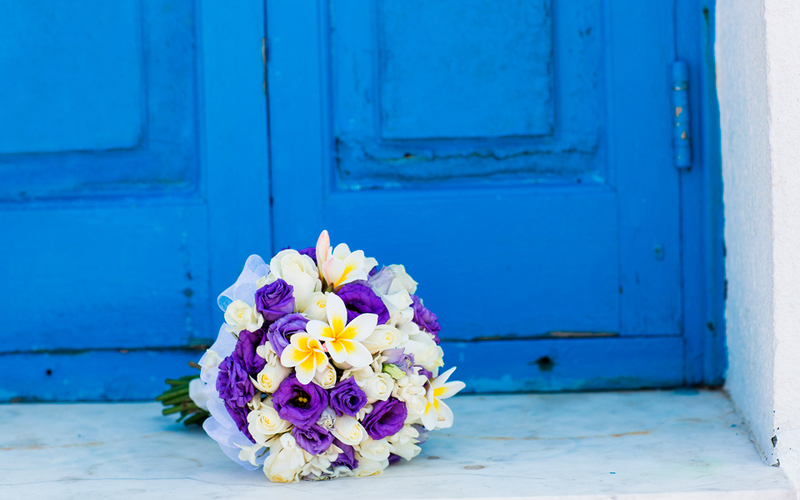 Beyond the stunning backdrop, soft Aegean breeze, historic ruins and a treasure trove of wedding traditions from around Greece, there are many reasons why the country is the ideal destination for a dream wedding. 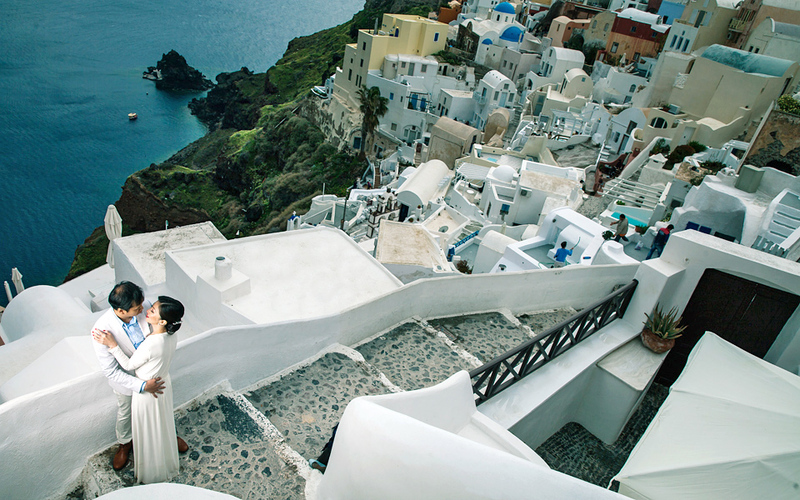 There’s no denying that romance and the rocky Cycladic cliff tops are a match made in heaven. Wedding photographer Vasilis Maneas points to the “pandemonium of colors” that contrast the minimal black and white of the wedding couple with exquisite results. "To dance for someone else's joy is a duty of guests at Greek weddings"
Dance reigns supreme at Greek feasts. “To dance for someone else’s joy is a duty of guests at Greek weddings,” says Maria Kritsioti, a member of the Greek Dances Theater “Dora Stratou. Kritsiotou scoffs at the plate-breaking stereotype as something that is mainly for tourist fodder. “Such activities – considered a form of bravado – hinder rather than facilitate dance and should be left to bouzoukia (nightclubs featuring the laiki genre of music),” she says. Greek life is centered around food and family, though it's sometimes hard to figure out which comes first. “My Big, Fat Greek Wedding” and its sequel are two movies that correctly drive home the message that nobody goes home hungry from a Greek wedding. After all, Greek life is centered around food and family, though it’s sometimes hard to figure out which comes first. As with dance, there are a number of customs related to food at Greek weddings. In Crete, goat meat and ‘gamopilafo’ (buttered rice) are an integral part of the wedding table. Amygdalota (almond sweets) are also offered to guests. In an effort to draw more visitors to Alonissos, the rocky island’s tourism committee kicked off its initiative for underwater weddings three years ago. However, not a single couple has yet taken the plunge to exchange wedding vows in the turquoise waters of the stunning jewel of the Aegean. On the contrary, underwater bachelor parties are a hit despite the lack of booze and strippers. 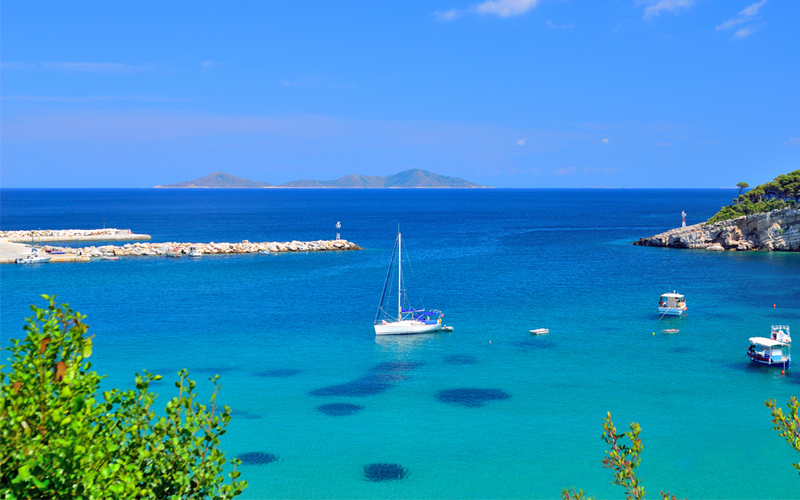 “The idea was part of a drive to promote tourism on the island and showcase the diving parks and the National Sea Park of Alonissos and Northern Sporades,” says Kiki Anagnostou, chairwoman of the Alonissos Committee for Tourism Development and Promotion. Who can forget Meryl Streep singing her heart out and trembling with emotion while crooning, “The Winner Takes it All”? 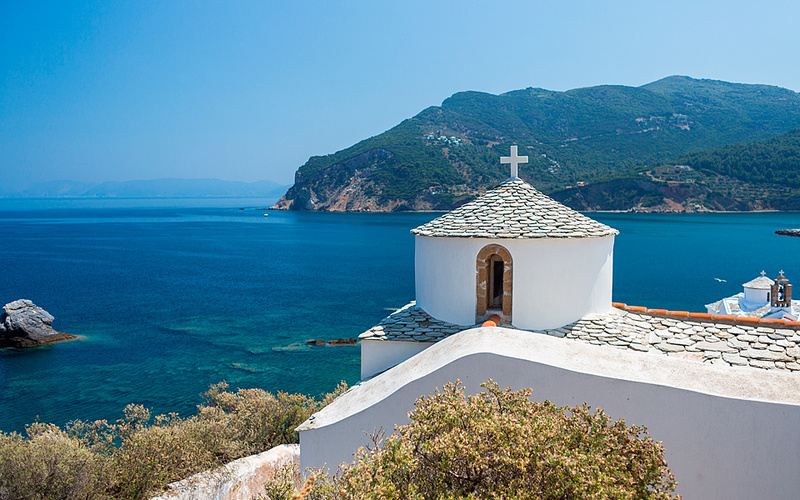 The iconic movie scene at the foot of the miniscule, white-washed Agios Ioannis chapel still draws fans that flock to get married on Skopelos in Mamma Mia! style. Scenic churches like Agios Ioannis chapel on Skopelos require you to be Greek Orthodox, so if you’re not willing to convert you can come for the pics like the dozens of couples who jet over to Greece, splashing more cash than stats indicate. “You can’t even begin to fathom, the size of the sector as 90 percent of the weddings in Greece aren’t even legal. 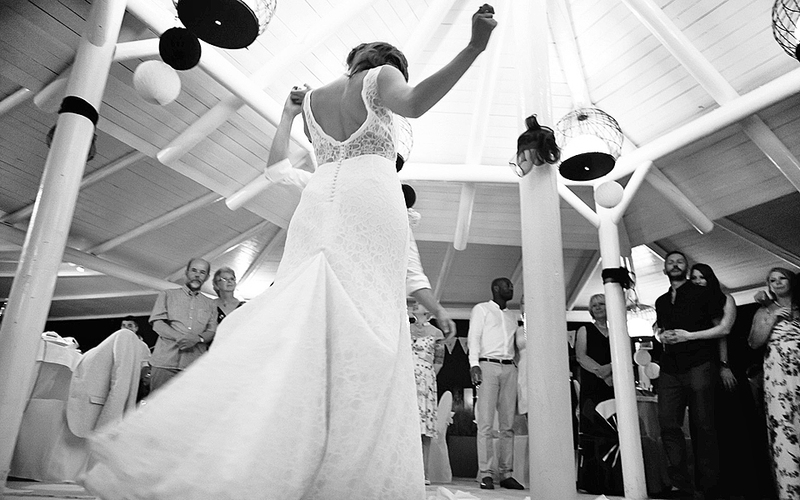 People get married for show, but that still counts as wedding tourism and is welcome!” says Vicky Karantzavelou, general manager of Travel Media Applications that runs the search engine Your Wedding in Greece. Couples interested in going the whole hog with religion can still live their wedding myth in Greece where society is typically open-minded regardless of race, religion and sexual preference. Certain nationalities, of course, have deeper reasons drawing them to Greece.”Asians, in particular, head to Santorini in droves due to their Buddhist roots. 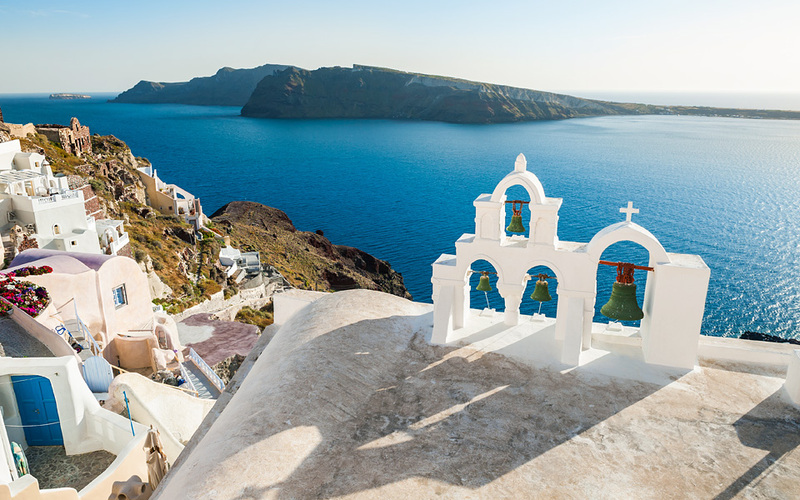 For them, Santorini combines mountainous terrain and water that is ideal for the actualization of the ancient Buddha and good luck for newlyweds,” Vicky Karantzavelou, general manager of Travel Media Applications that runs the search engine Your Wedding in Greece. “Russians prefer Chalkidiki in northern Greece because it’s near Mount Athos, considered the center of Orthodoxy,” says Karantzavelou. 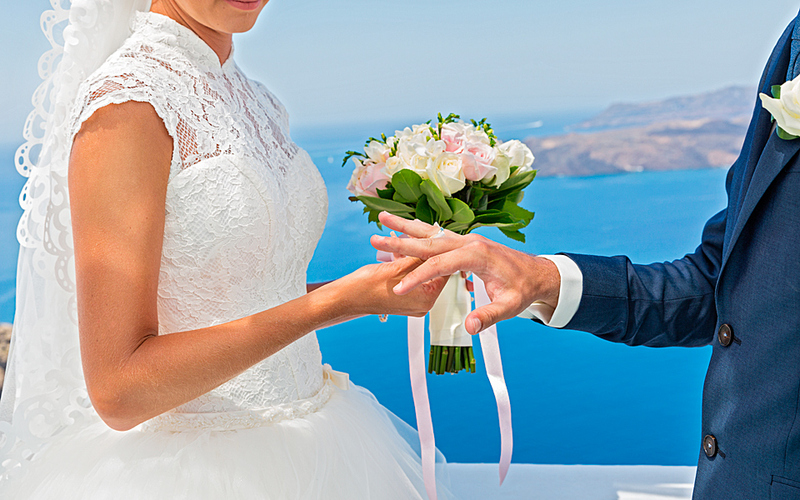 Everyone knows that weddings are a logistical nightmare, but the fluctuating exchange rates and value-for-money accommodation make a Greek destination wedding an affordable option. 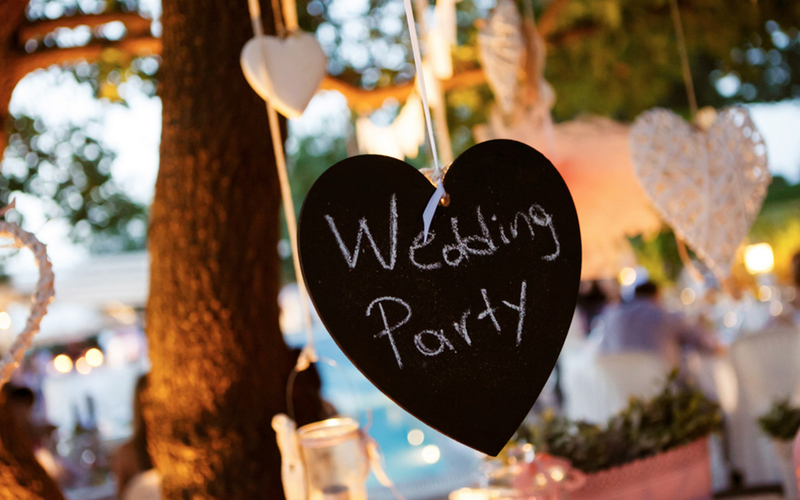 Alina Tamarova, the wedding co-ordinator for Weddings in Greece, says that Greek weddings can be lavish or simple and cater to all budgets with a wide variety of local hotels that don’t compromise their hygiene standards regardless of costs. So whether you want to bag a bargain wedding or are interested in travelling to Mykonos on a private Lear jet with a party of eight, chances are you’ll find top-notch service to match your expectations.